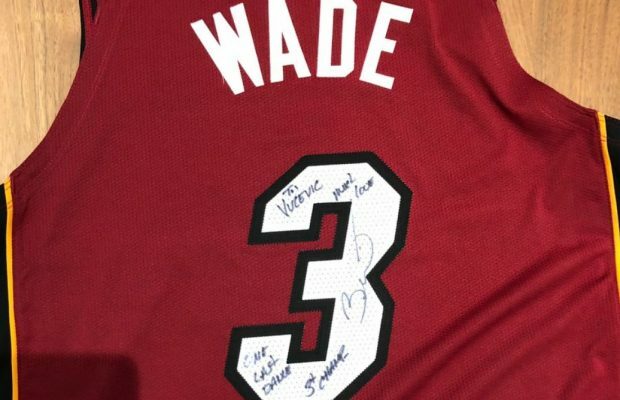 Miami Heat guard Dwyane Wade began the 16th and final season of his legendary NBA career by offering a signed jersey to the Orlando Magic‘s Nikola Vucevic in Wednesday night’s season opener. In addition to the autograph, the future Hall of Famer also added what’s become the slogan of his swan song, “One Last Dance,” with Vucevic acknowledging the gesture on social media. Vucevic, who turns 28 next week, is beginning his eighth year in the NBA after having been the 16th overall selection of the Philadelphia 76ers in the 2011 NBA Draft. After that first season with the 76ers, he was dealt to the Magic in a complicated four-team deal, with the 7-footer averaging close to a double-double over the course of his career. The 36-year-old Wade started off this final campaign by nearly collecting a double-double against the Magic, scoring nine points and grabbing 11 rebounds. 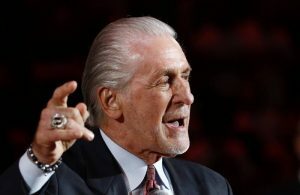 However, the veteran did struggle over the course of the game, connecting on just 3-of-13 of his field goals. In addition, Orlando came away with a 104-101 victory. 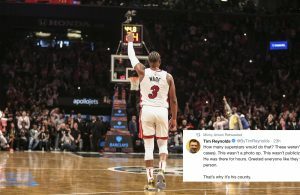 The signing of such jerseys figures to be a regular happening this season, with many of Wade’s contemporaries wanting an item to remember his career. 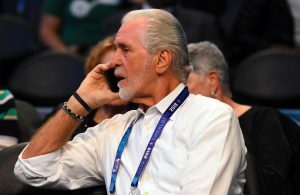 Yet Wade has little time to dwell on that prospect with a Thursday night road game against the Washington Wizards next on the agenda for Miami. 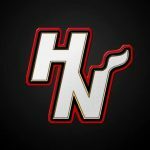 On Saturday night, the Heat will play their home opener, facing the Charlotte Hornets in a game that will tip off at American Airlines Arena just after 8 p.m. ET.